One in eight American women will develop invasive breast cancer over the course of her lifetime. Thankfully, most women are aware of the importance of regular mammography screenings when diagnosing breast cancer. However, many women remain unaware what it means to have dense breasts, and even fewer know if their breasts are dense or not. Unfortunately, high breast density is a well-established predictor of breast cancer risk. In fact, high breast density is a greater risk factor compared to having two first-degree relatives with breast cancer, according to Are You Dense Advocacy, Inc. This is especially concerning because breast cancer can be hard to spot behind dense breast tissue with traditional 2D mammography. While 2D mammography has been the gold standard for many years, it suffers from decreasing sensitivity as tissue density increases—which is problematic for patients with dense breast tissue. Fortunately, there are other imaging options for these patients. Tomosynthesis, or 3D mammography, helps solve this problem by taking multiple X-ray projection images through the 3D plane to see tissue in a series of slices, thereby unmasking lesions hidden by surrounding tissue. Another option is 3D ultrasound, which offers tissue strain analytics for deeper insights in dense breast tissue. As awareness around breast density increases, so do the number of breast density notification laws. These laws, aimed at standardizing screenings and improving communication, require doctors to notify their patients if they have dense breasts. Lawmakers hope that by informing women about their breast density, more cases of breast cancer will be caught at an earlier stage when treatment is most effective. To educate patients consistently, imaging teams should first provide information to the provider community about breast density and the various screening methods. 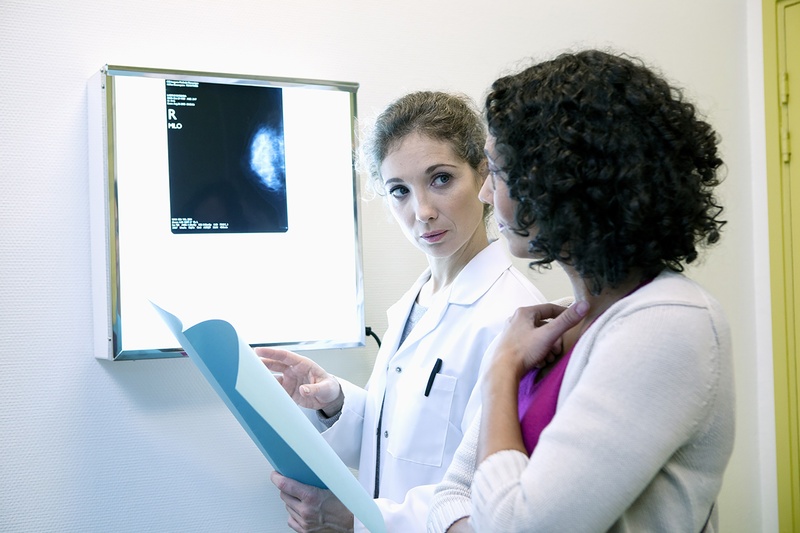 Doing so allows doctors to have more informative discussions with their patients and better guide women with dense breasts to the most appropriate imaging options. We all know that physicians are busy people, so if you want to reach them loud and clear, you may need to provide educational resources multiple times and in various forms. Sending an informative letter about breast density laws in your state is a great place to start. Another way is to host an open house or luncheon where radiologists can discuss the importance of breast density and how breast density notification laws impact physicians and their decisions. It’s also important for imaging teams to provide educational resources about breast density directly to patients. Informed patients may be more prepared for discussions with their primary care doctors. Click here to learn about the mandatory breast density legislative efforts in your state.